CREDAI YouthCon 2018, organized by “CREDAI Youth Wing" - CYW, the annual Youth Conclave of CREDAI which brought together the future of the real estate Industry in India concluded in Hyderabad today. The two day conclave was a grand success and witnessed the participation from CREDAI youth wing members from across the country. The event was attended by over 800 delegates from across 60 cities across India who actively participated in the sessions. From Colours of Money in 2025 to Women in leadership the CREDAI YouthCon touched upon topics that were not only enlightening but will also revolutionise the real estate in India. 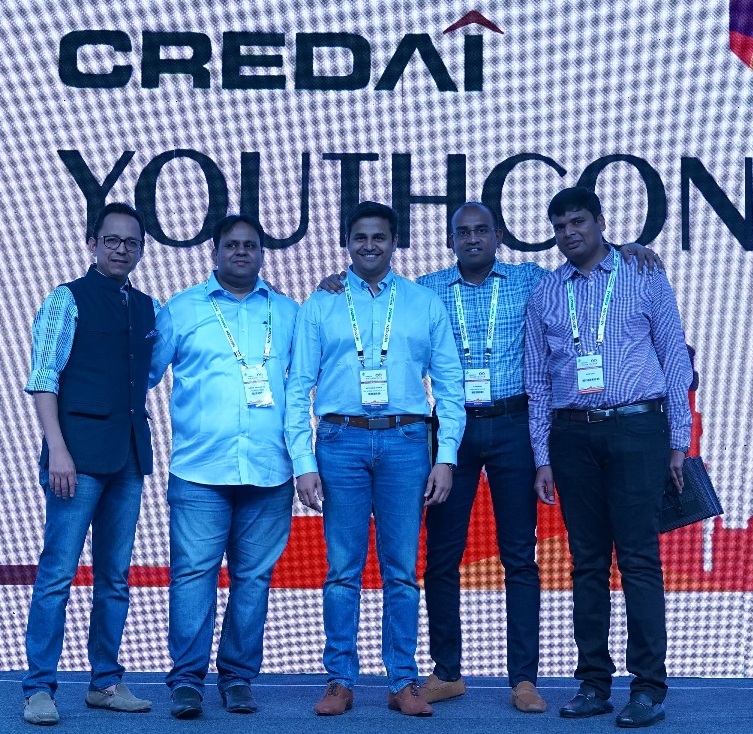 The objective of CREDAI Youthcon was to bring together the next generation of real estate builders and developers and also groom and nurture them to become better professionals, ethical businessmen and true leaders in Real Estate. The two day conclave had a series of sessions on diverse topics ranging from the technical sessions on the future of construction technology, mobile platform technology for real estate sector to sessions on topics like importance of health and business growth. The event covered panel discussions including young political icons like Omar Abdullah & Sachin Pilot and business leaders who provided a perspective on the development. The 2 day conference was designed to ensure that the leaders of tomorrow are well informed, knowledgeable and work with an open-mind and value system. CREDAI committee along with their knowledge partner CBRE India also unveiled the joint report titled “Youth Barometer” at the conclave. The Leaders of CREDAI National expressed their delight at the event which was organized effectively and witnessed the active participation from the members of CREDAI Youth wing across the country.